Picket lines are essential parts of a strike – where we gather publicly rather than going to work in order to let other workers, students, and UC higher-ups know what we are fighting for and why. 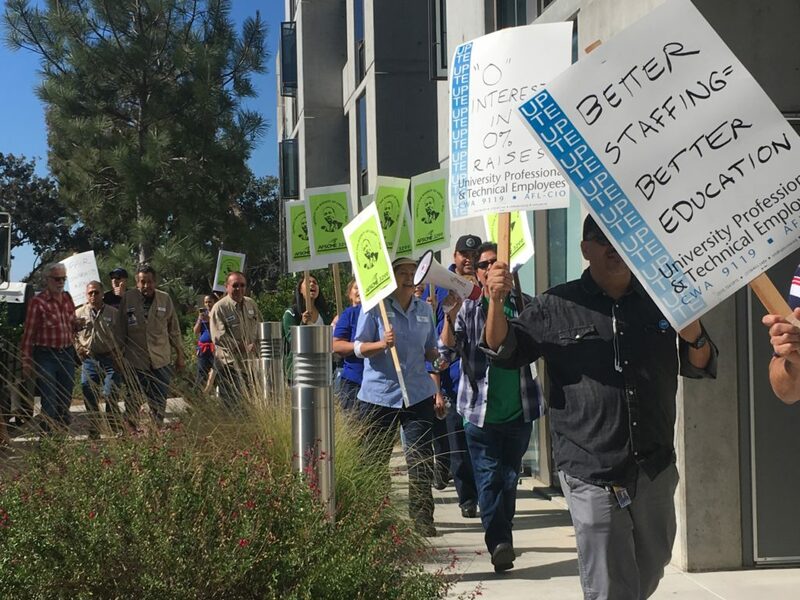 UPTE requires members to sign in and spend 4 hours on the picket line to receive your $60 strike pay – although we encourage everyone to stay on the line as long as they can. While Labor Relations may make picket lines sound dangerous in order to intimidate you, we will be working hard with AFSCME and CNA to make them enjoyable and exciting! We encourage everyone to picket starting at 7AM on Tuesday if at all possible – this will be the most important time to reach our co-workers who may not be planning to strike but could change their minds when they see our picket lines!